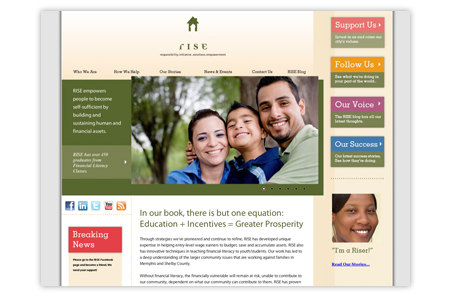 RISE Foundation | Non-Profit RISE FOUNDATION a leading regional public assistance non-profit wanted a web presence that reflected their position as a sector leader in housing assistance while highlighting the stories of their constituents. We developed a clean, simple, highly functional user-interface with strong, photocentric visuals and an understated, timeless design with highly scalable page layout. 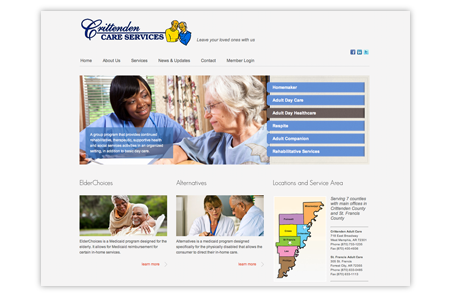 Crittenden Adult Care | Healthcare When the Crittenden Adult Care centers of Arkansas wanted to launch a new revamped corporate identity campaign, they tapped LPI to build the digital home for CAC. Motema Music | Music/Retail As part of their ongoing identity makeover, MOTEMA required the development of a new web property. We built a clean, functional, scalable site design ready for handoff to their interactive agency of record. 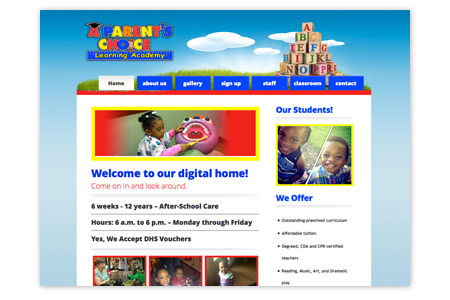 A Parents Choice | Education LPI remains committed to helping small business startups, and APC is a perfect example of a great organization with strong leadership, that needed help getting off the ground. LPI was happy to step in and provide the assist. 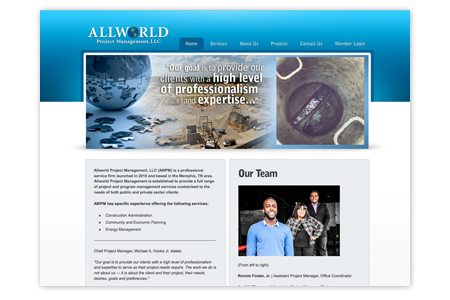 Allworld Project Management | Industrial AWPM's business is experiencing explosive growth, and they needed to find a way to easily tell what has become a very big story. 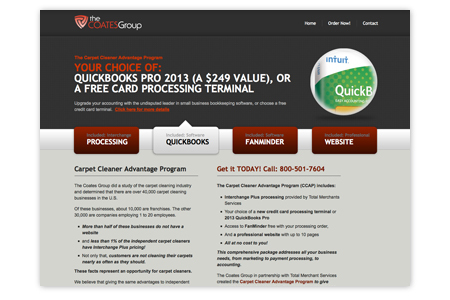 We built a site that can scale with their business and their ambitions. 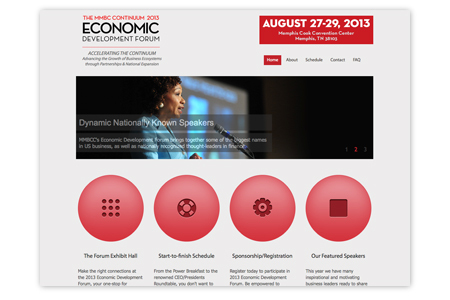 MMBCC EDF | Event MMBCC's Economic Development Forum has become one of the leading business conferences in the Mid-South region of the U.S. We built a scalable web property that can grow and evolve as this dynamic event demands. The Coates Group | Business Services Los Angeles-based TGC offers services for specific industries across North America. 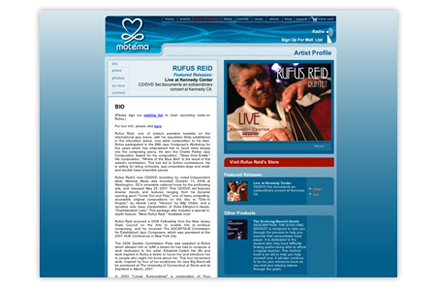 They needed a simple, effective web presence that quickly communicated their core service offering, while offering an intuitive, easy to learn UI. 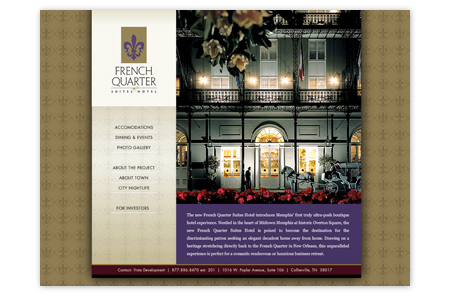 French Quarter Midtown | Hospitality When the historic French Quarter Suites Hotel in Midtown Memphis, TN was targeted for redevelopment, we developed a lush, opulent site to showcase the vision and dynamic reimagining the prospective ownership group needed to support their extensive fundraising efforts. 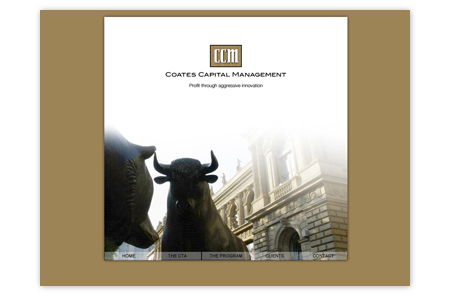 Coates Capital Management | Financial Services We were tasked to develop a site that instilled confidence, while showing the unique capability of this independent financial services firm..